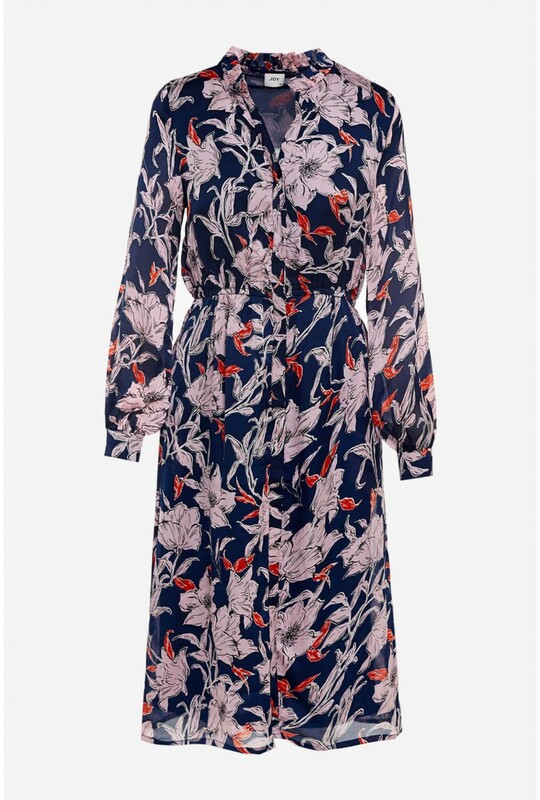 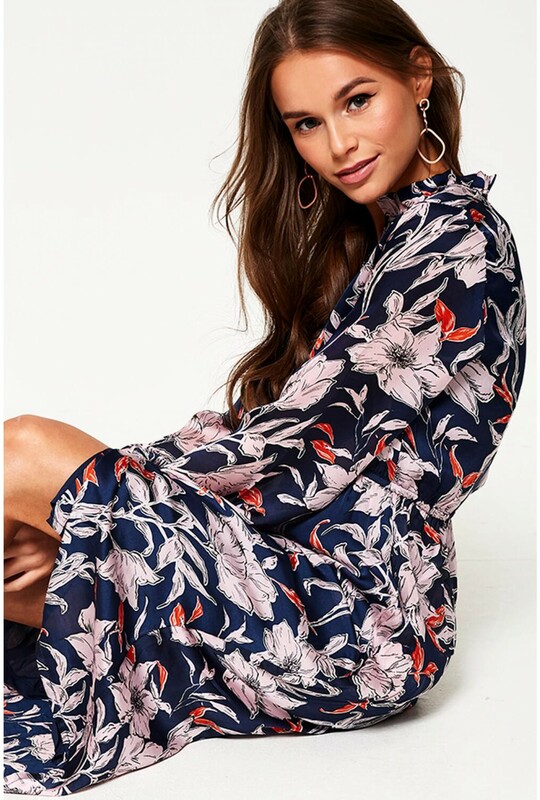 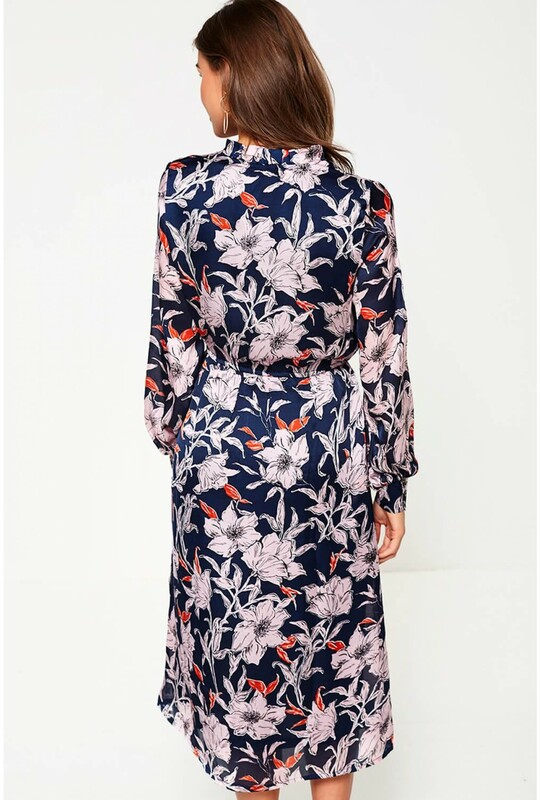 Steal the show with this satin floral print midi dress. Featuring a concealed button placket, long sheer sleeves and a high frill collar for a feminine touch. 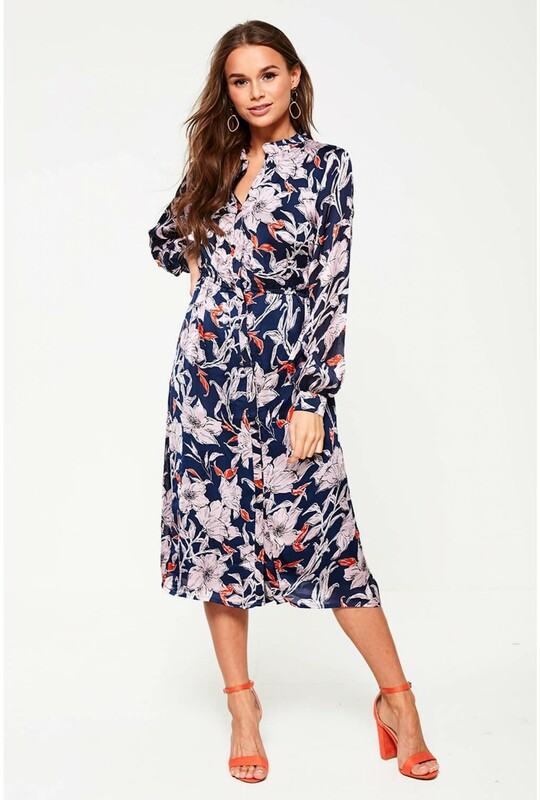 In a classic midi length style, wear with barely there heels and drop earrings.